LOCATION LOCATION LOCATION! 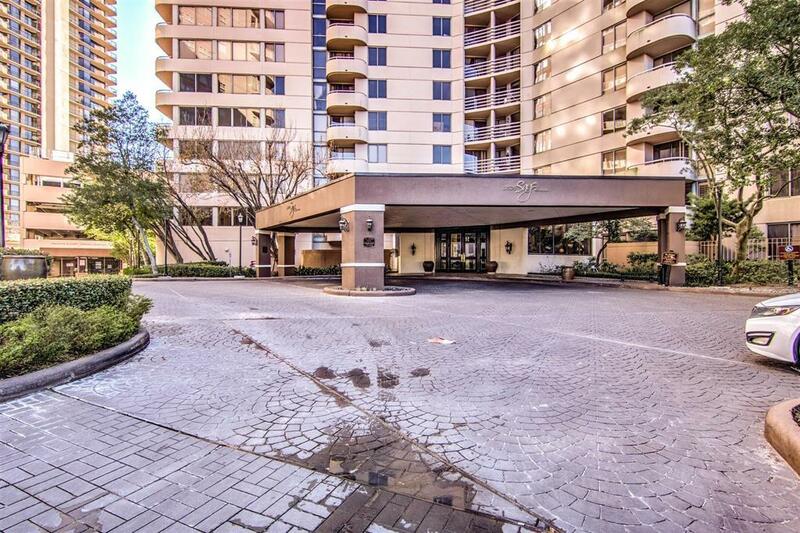 Beautiful high rise condominium in Galleria area. TOP FLOOR condo, so there are no neighbors above you. 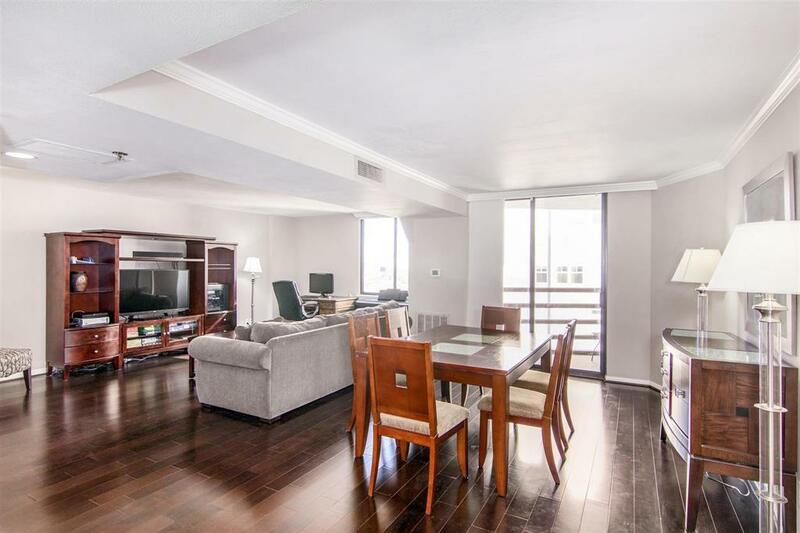 This large condo was originally a two bedroom unit, but a wall was opened up to make a generous-sized open floor plan. Great space for your living and dining...entertaining. Note room sizes. 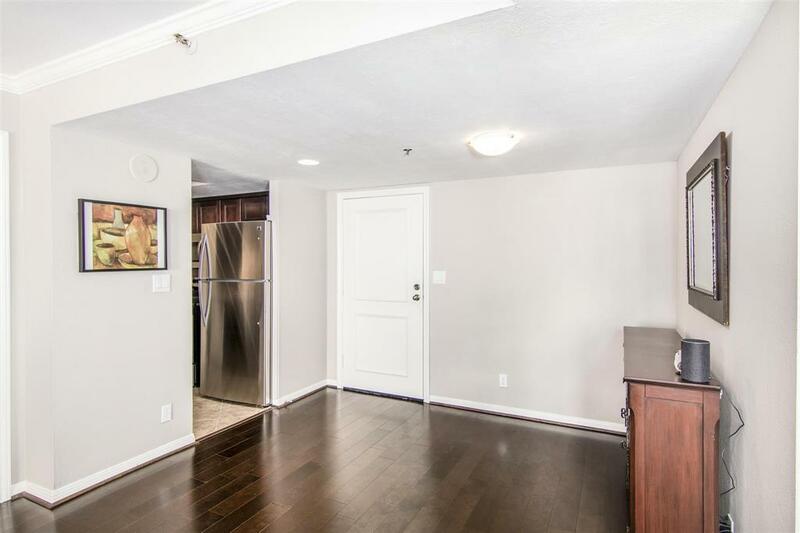 Wood floors, granite countertops, stainless appliances make this updated and ready for you to move into with little or no remodel..only changes for your personal decor style. 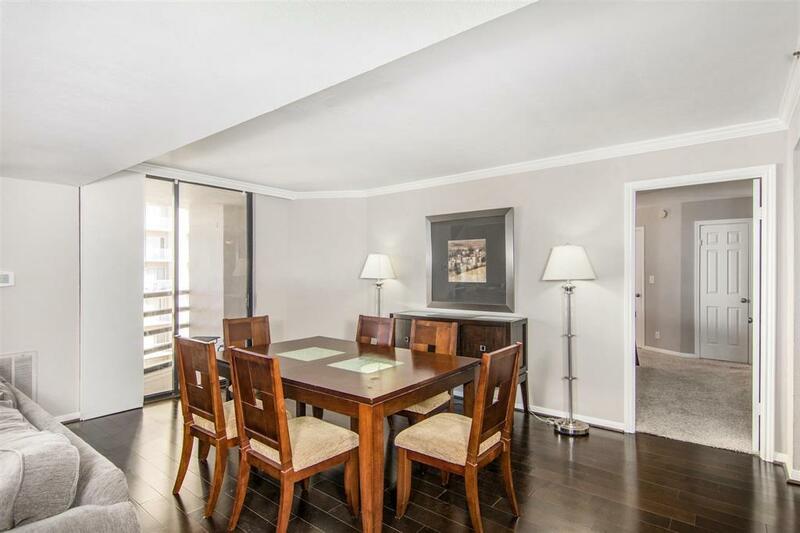 Dining areas has access to balcony that overlooks the Galleria and West Houston. One reserved parking space. The building has 24-hour concierge service, limited access parking garage and building; security is a priority. Beautiful foyer to meet and greet your guests. Enjoy the included fitness center, swimming pool, hot tub, library and outdoor area for barbeques and gathering. Refrigerator stays with the unit. Urban living at its finest. Great access to shopping, restaurants and highways.